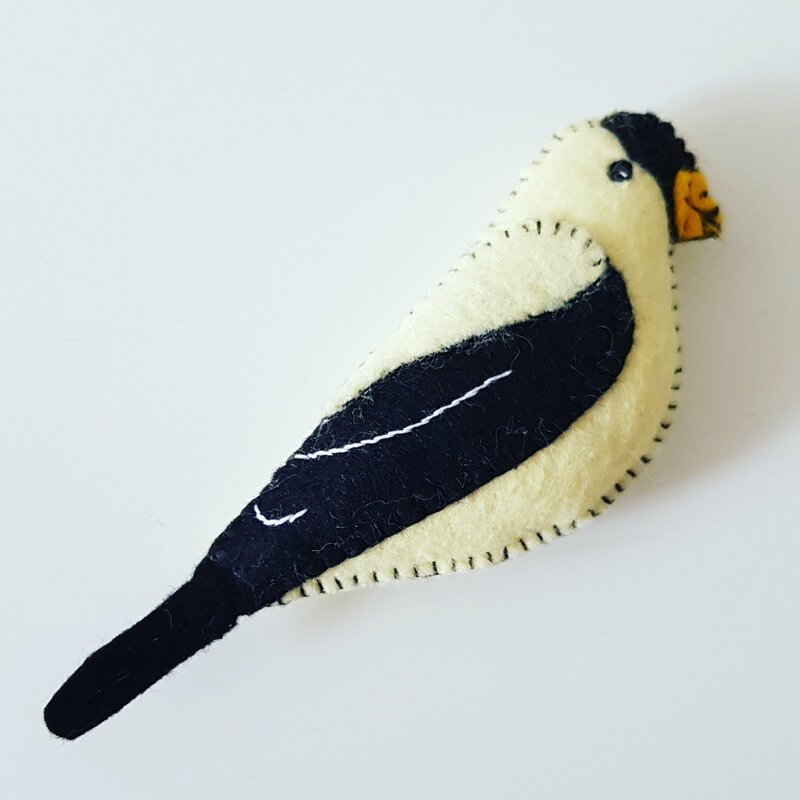 The birds may be made in various ways from various materials: knitting, crocheting, quilting, embroidery, felting, drawn, dyed as long as it is made of textile, wool, yarn, etc. With a hook or loop to put it on a line. The longest line of birds will be presented during the Textiel Festival Weerribben on 14, 15 and 16 June 2019 and all submitted birds will form a whole. The theme of this festival is “Strange Birds”. Afterwards all birds will be donated to several charities. …and I’m so happy with how it’s turned out! Brendan, as in Saint Brendan, refers to the patron saint of the sailor. St. Brendan is believed to have been sailed across the Atlantic Ocean in search for the Isle of the Blessed. He is even said to be the first person to have set foot on the American soil. He was carried to the Heavens by the angels. This sailor baby name originated from the Welsh word ‘breehin’ and means ‘prince’. A very perky bird! Love how you chose the name. How lovely Eleonora. We’ve a Welsh Brendan in the family too so I do think you chose the perfect name. Have a lovely week. Love Brendan he is so cute! I shall enjoy making him. Thank you for the pattern and for sharing with it this marvellous project from across the water. I’m seeing newly crocheted redbirds for my Christmas tree this year. Thank you! I will definitely make a couple of these! I might even make a red one to celebrate all the cardinals around me. Awesome 👍 super…… I will try to do like this…. He is adorable, and I love the name. Thanks for sharing the info, it was most interesting. I love the workshop bunting, just perfect. How funny! I think we’ve had a mind link this week 😉 I think I had something through for this project too and thought it looked really fun, I’m going to see if I can maybe find a bit of time to join in too. Love your Brendan! What a cute little guy this is! I just may have to make one to send on his way to TheNetherlands! Maybe a cardinal to represent all the ones in my backyard in Texas. I sent butterflies to Yarndale…..why not cardinals to the the Ceazy Ladies for their textile fair.